Another pretty random comic. 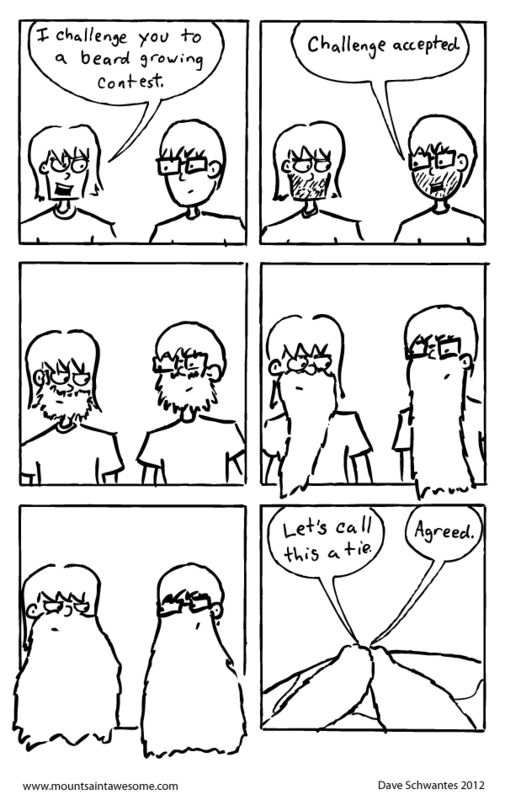 About beards. Here's a song by a band called The Beards. It's called If Your Dad Doesn't Have A Beard, You've Got Two Mums. I think I like the ruler guided boxes better than the sloppy hand drawn ones. What do you think?